There hasn't been much action on this here blog this month. I've been busy in work and on my yoga course. I have been reading as per usual though and other things have also happened, the two most dramatic being that Bert has shaved off his beard and now has a mustache and our heating in the living room has broken. We have just been out for lunch and a beer and now bert is watching Mod Squad. I just realised I read Wildwood Dancing for Juliet Marillier (which i thought I'd read in January and hence didn't add to the photograph) which was a sweet fairy tale type story which featured the cutest little frog called Gogu. Next I read Hotel de Dream by Edmund White for reading group. This was an interesting historical novel which I probably would have given up on had it not been a reading group book, but I was actually glad I read it in the end. Chakras for Beginners by David Pond was for my yoga course, and while it covers lots of info it's also pretty dry. If you know of any good books about chakras let me know. Women by Chloe Caldwell is a book I gave Bert for Christmas. We both really enjoyed this book about a slightly obsessive affair - it's a good one, I think you'll like it. Precious (or Push as it was originally called) by Sapphire was turned into a film I haven't seen. I couldn't stop reading this book - it's bleak, compelling, life-affirming, upsetting and just all out page turnery and powerful. Great stuff but a slightly weak ending. I also read the above book - An Extraordinary Theory of Objects by Stephanie LaCava which was a gift from bert. It's a lovely, interesting book about objects, growing up, nirvana and mental health. And finally this month I read a book I was really excited about - Girl in a Band by Kim Gordon. Just before reading this I saw that she had said some stuff I didn't agree with about Lana Del Rey which kinda soured it all for me. I actually really enjoyed this though, there was lots about the art world which I loved, but it did feel that maybe she'd written this a little too soon after her break up from Thurston. Let me know what you've been reading or if you've read any of these ones. I'd be really interested on your thoughts about the Kim Gordon book. I am a huge Cheryl Strayed fan (the author of wild who also has a teeny cameo in the movie) and the book Wild is one of my recent fave reads (as is 'Dear Sugar' - her collection of advice columns). I love a good memoir and I also like a nature book and this is a bit of both. 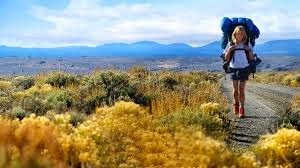 It's a memoir of when Cheryl hikes the Pacific Crest Trail after the death of her mother and a whole heap of other problems that occur following on from this. The book is wonderful (go read it!) but the fillm is also really good. 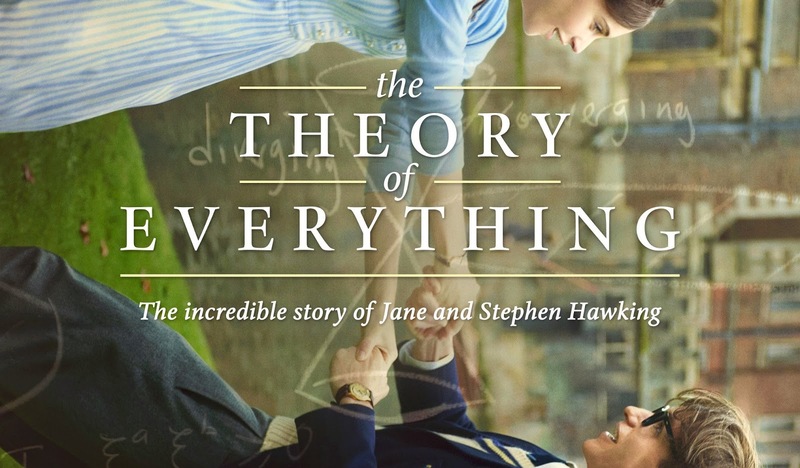 It's not a fun film, but it's inspiring and beautiful and real and raw. Both me and bert enjoyed it - and bert hasn't read the book. - I expected some John Hughes in here, he is the king of teen! but I guess, as the title suggests, it was 'beyond clueless' so all the films added were from the 90s. - although the narration was fine, I wanted a little more from it, I would have liked it to have been perhaps a bit more critical... I would have been really interested if say they had given the narration a more feminist slant. Anyway, it was fun, we enjoyed it. We found a few more teen movies we need to watch. I would never have chosen to go see this film as it just doesn't look like my bag, but my sister wanted to see it so I went along with her. It wasn't really for me though... while it was engaging enough it felt like a really old fashioned film - a very straight forward biopic that I did have some issues with (I found this article pretty interesting). well as David Thewlis - I LOVE David Thewlis, why isn't he in everything? So... have you seen any of these? what did you think? do you agree or disagree withmy thoughts? 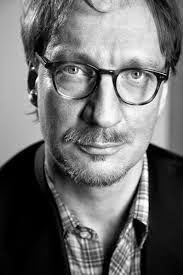 do you think David Thewlis should be in all films? yesterday (friday) me and bert both had a day off. I went to yoga in the morning to give him some 'rockford' space (where he can lie on the sofa and watch 70s dramas). I also did an online shop from Waitrose purely so I could buy the Almond Dream vegan ice cream.... It's really good. Bert suggested we refresh/tidy our bedside tables/to be read piles.. so that's what we did. they are now so neat! these books are what I'm planning to read next - let me know if you've read any of them. And here's Bert's bedside table pile. He is going to be reading that new Daniel Handler you can see there next. It's about pirates in San Francisco. I'm going to an ayurveda course tomorrow. I'll report back.